I have not counted how many times Microsoft redesigned Skype, but it happens again. The software vendor has been optimizing Skype for years, and last year introduced a radical design that included a Snapchat-like Highlights feature. Microsoft is now removing the Highlights feature and making Skype even easier. "Calling became harder to realize, and highlights did not resonate with the majority of users," says Skype design director Peter Skillman. "We had to take a step back and simplify!" Microsoft's new approach to Skype design involves refocusing on why users are still using the service: calls, video calls, and messages. 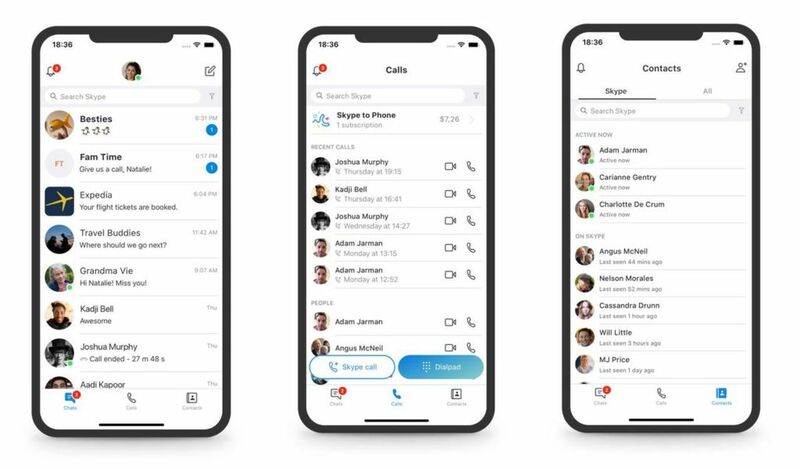 Skype's mobile apps are being redesigned to remove features that nobody uses and that simply overburden the user interface. 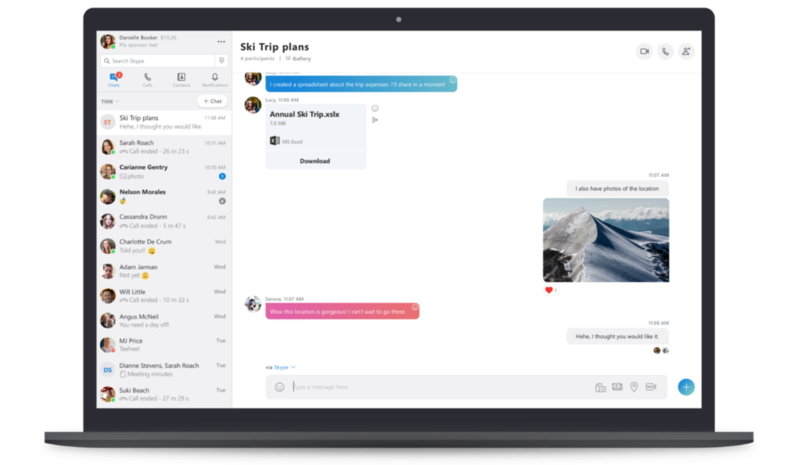 On the desktop, Microsoft moves chats, calls, contacts, and alerts to the top left of the window to provide a central location for navigation. "We looked at how people use Skype apps, do extensive testing in global markets, and develop prototypes to test new concepts," says Skillman. "We listen to your feedback and are fully committed to improving the Skype experience based on what you tell us." The radical Skype revision of Microsoft last year did not go well. Everyone seemed to hate the new Skype, and Microsoft spent most of last year tweaking Skype on mobile devices and desktops to resume its Snapchat-like changes. Microsoft recently announced that its desktop app was in favor of a more mobile app, but the company soon had to change its mind after a backlash. A number of Skype users still prefer the original desktop app, which has served the service well for years, and it's clear that Microsoft needs to incorporate that feedback into other planned changes. Skype has improved since Microsoft moved server-based peer-to-peer service. This was a difficult time for the service as a whole, with broken notifications, poor reliability and just a general frustrating experience. Microsoft now needs to focus on simplifying Skype at a time when there is much more competition. WhatsApp, Messenger, FaceTime, WeChat, Line and Telegram are very popular services that millions use to send messages and make calls. It will be difficult for Microsoft to regain consumer confidence if there are now so many reliable alternatives.